A website designed to showcase their brand. Design Zone are a team of professional interior designers who specialise in designing spaces that deliver outstanding first impressions. Their experienced team has a focus on individuality, helping you showcase your brand while standing out from the competition. Fabric helps them attract new clients, again and again. Above anything else, Interior Design Zone focuses on developing you a functional space that helps not only draw in clients, but encourages them to come back again, and again. Fabric are proud to have worked with them to come up with a digital marketing strategy that suits their unique business. 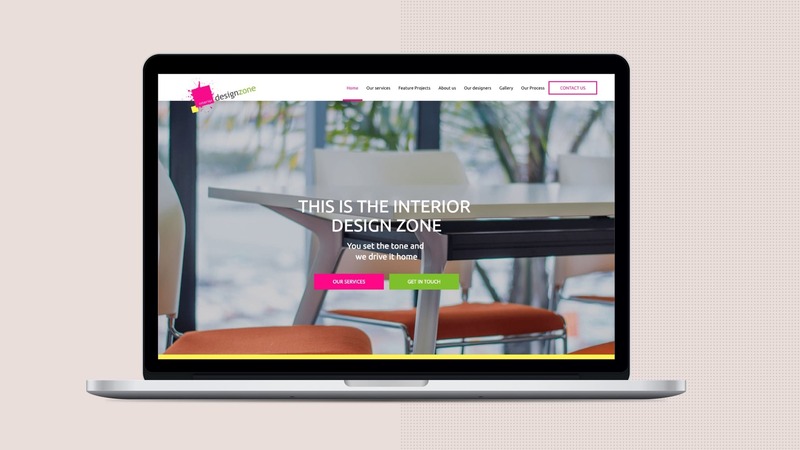 The Interior Design Zone website helps to ensure they have a strong brand and online presence. The use of bold colours showcases their individuality and unique style. The website, like all that Fabric build, is highly responsive, meaning that all current and potential customers can easily interact with the website no matter what device they are using. 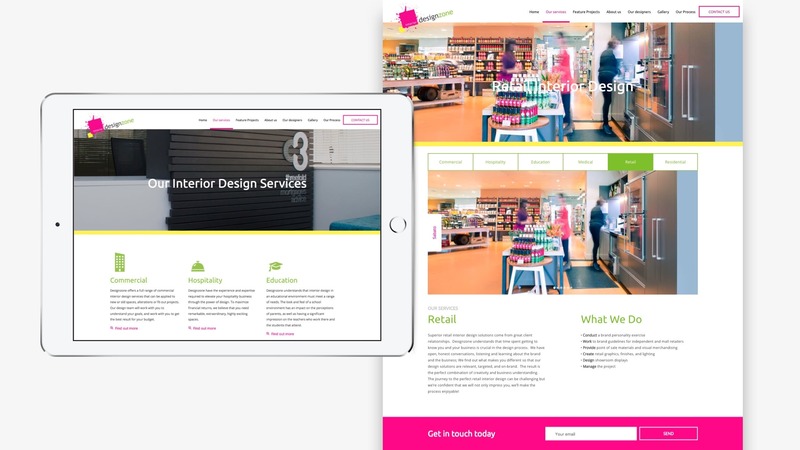 It is also built on an intuitive content management system to make it even easier for the customer to update the website with new content, such as featured projects and client testimonials. Vital role in digital marketing strategy. 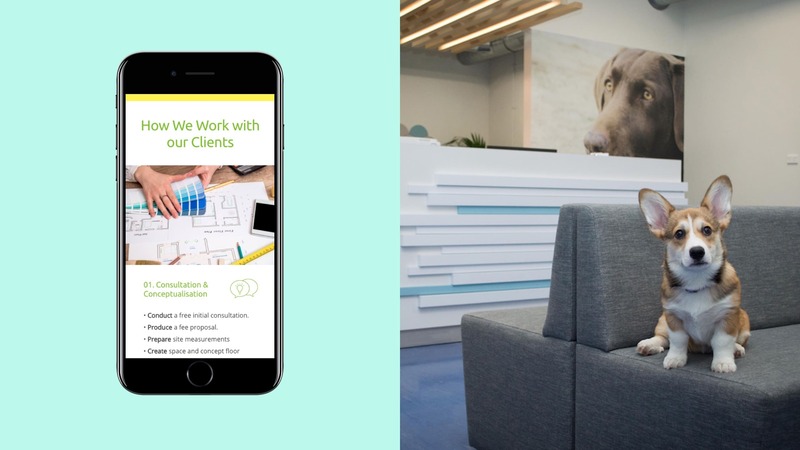 This custom designed website not only was vital in forming their brand identity, it also played a big role in the digital marketing strategy as a whole, acting as a strong foundation for Fabric's AdWords services, which helps to draw in highly relevant customers in the market for interior design services and persuading them to get in contact.